A man who robbed a shop at knifepoint has been jailed. Corey Gould, 21, of Butlers Meadow, Warton, was sentenced to five years in prison at Preston Crown Court. 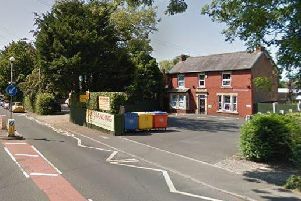 In February police were called following reports of a robbery at the Co-Op in Lytham Road, Freckleton. A man had entered the store with a knife and threatened a female staff member who handed over £500 from the till. Gould was quickly linked to the offence and when officers searched his address they recovered a knife matching the description of the blade used in the robbery, as well as a pair of trainers which matched marks left at the scene of the crime. Gould initially denied the offence but when faced with the evidence pleaded guilty.